Street Fighter IV is coming out soon, and I think that’s call for a celebration. What better way to greet a new fighter into our library than to create a list that is sure to infuriate fighting fans when they read it? (Sorry Clayfighter fans, this list isn't for you). So below, gnash your teeth at my list of the greatest fighting games of all time. If you have something to say, the comment box awaits you. I’ll give you this, Primal Rage wasn’t the easiest game to play. With some really wonky controls (Wait, so how many buttons do I have to press and complete circles do I have to make just to get this monkey to fart? 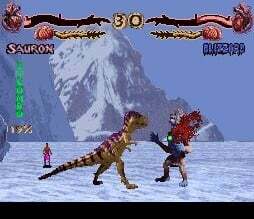 ), and a really idiotic storyline about shamans turned into dinosaurs, you might brush off Primal Rage as a game best left in the past. But what PR lacked in gameplay it more than made up for in histrionics, and in a fighting game about warring dinosaurs, which is half the battle. When you hit a dinosaur or grabbed him by the throat, the surround sound really kicked in, making those crunches sound fierce as hell. And sudden death matches, hoo boy. They were accompanied by meteor showers that would rain down on its combatants as they battled for supremacy. Even cooler was when you were actually able to pull off one of those nasty juggling combos and a lightning bolt would flash from the heavens, signaling that the gods were appeased. Like I said, it might not have been the most balanced fighter ever, but it was definitely one of the most fun to just sit and watch. I was chewed out in my last top ten article for not including the words, “Finish Him!! !” as one of the best game phrases of all time, and for good reason. In MK II, “Finish Him!! !” had so many different possiblities. 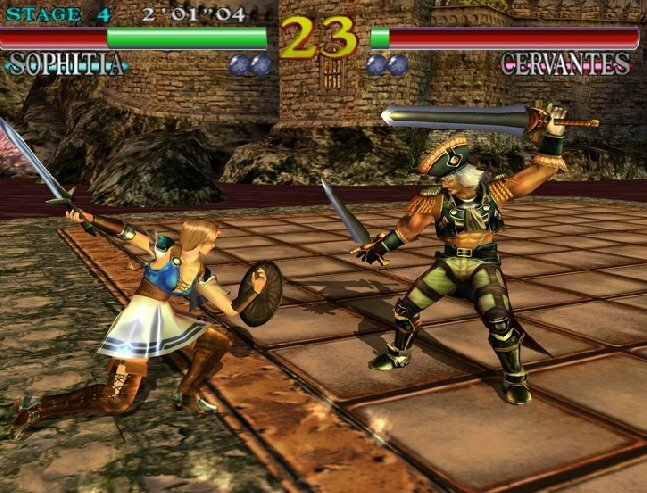 The game featured two fatalities per character, babalities, friendships, and secrets galore. It was a complete game, too: balanced combat, humor (“Toasty!”) and a decent storyline. The only reason it’s not higher on this list is because some of the characters were utterly useless (Reptile, I'm looking at you), while others (like Kitana) could absolutely dominate. But this is DEFINITELY still the best game in the deteriorating series. Unlike MK vs. DC, it didn’t have Joker punching Superman in the face, but back then it didn’t need such gimmicks. 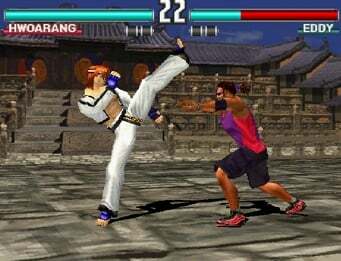 Any fighting game that allows players to interact with the background has DOA to thank (or blame) for that. The first two games were merely a display of the mismanaged physics of a woman’s breasts, but the third game had some real meat to it. 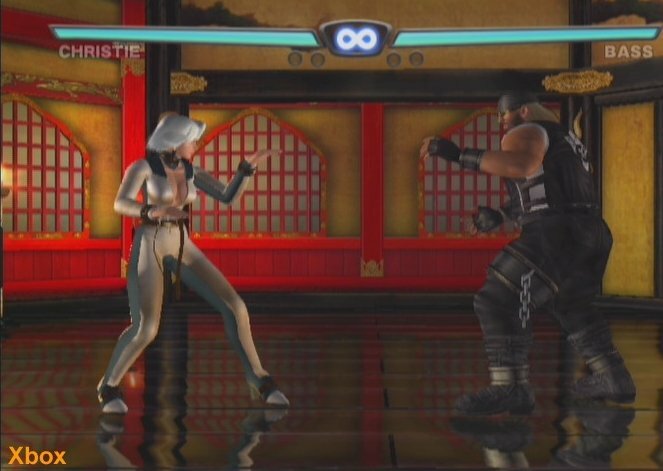 The characters were typical DOA fare, with Bass the Hulk Hogan wannabe and Kasumi the femme fatale. 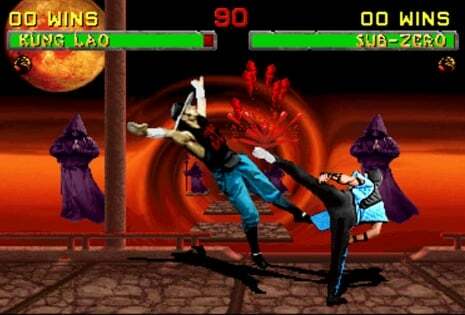 Depending on who you talk to, the fighting system was either amazing (gotta love those counters) or maddening (button mashing works) so that’s obviously not why this game made the list. It made the list because no other game before or since, let you fling your opponent straight into a tree that was sitting in the background. That alone makes DOA one of my favorite fighters of all time. Sure, many would go the length to say that Tekken 5 surpasses Tekken 3 in pretty much every single way but I have to disagree. It just doesn't have the same magic by the fifth time around. I’ll agree, the fighting is pretty spot on in T5 and I really like the new customization feature but it just doesn’t have that same spark of freshness as playing as a young Eddie Gordo for the first time, or realizing that Dr. Boskonovitch really CAN’T stand up on his own two feet. These characters were just so fresh and new at the time that they really made a revolutionary character like Steve Fox from T4 look like a gimmick compared to the strange selection in the one before it. Plus, beach volleyball! DOA, they beat you to it! 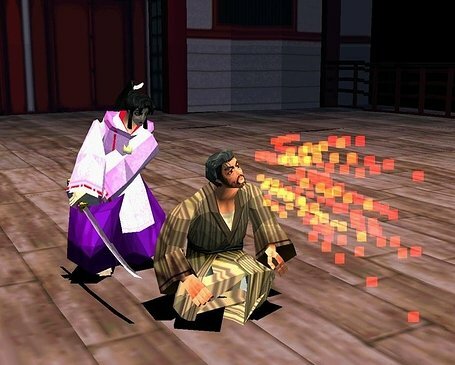 Some people might go the length to say that Bushido Blade isn’t even a fighting game, and I’m not going to argue with them. But I will say that it’s a great testament to the title that it can be seen as so many different things by different people. Well, in my opinion, Bushido Blade is indeed a fighter, and a damn good one at that. There were neither bars to designate your health, nor clocks to tell you how much more time you had before your character covered their face in shame that they couldn’t kill somebody in 99 seconds. Matches could end in one hit depending on the angling of the attack. It really was a war of skill, and one that grows on you the more you play it. I wouldn’t say it was infinitely playable like some of the other games on this list, but I think it did a lot for fighting games in general by being so genre defining and unique. Without the free-roaming of BB, we’d probably never have a Powerstone today, and who doesn’t love Powerstone? Okay, so maybe I’m not the BIGGEST VF fan in the world but I can definitely appreciate a good fighter, and VF2 is definitely one of the best. Gone are the lame matches that almost always end in ring-outs from jumping clear over your opponent and that’s because the ground game was so satisfying this time around. Two new characters were added to the fray, one a drunken old man, and the other a fighter using mantis style and never have I felt a roster to be more complete with just two added characters. That’s because all of the old characters felt fresh and new, and definitely more focused. Akira, for instance, didn’t just seem like a powerhouse anymore. He seemed balanced if you understood how he moved, and more importantly, how the other characters moved. Actually, all of the characters felt like this, and it really made you explore how the other fighters worked so you could use their own faults against them. I guess you could say that this is true for ALL of the VF games after this installment but this is the only one I ever really spent extensive time with, so there. Certainly the best game for the Sega’s doomed system (even better than Shenmue), it was also one of the first. It had sweeping music, an excellent cast of characters and, oh, such beautiful graphics. I guess a lot of things about this game could be excused for being such a gorgeous fighter. But don’t get me wrong here - it needed excuses as badly as a game like Battle Arena Toshinden. There were small problems, like your opponent being able to knock you of the ring like crazy. So much of the game was spot on, though that it really didn't matter all that much. Oh, and did I mention the graphics? Let the ire begin. I don’t care what ANYBODY has to say, Killer Instinct is awesome. Let me count the many ways I love this game. Obviously, there’s the combo system, which doesn’t just border on being ridiculous. But there’s so much more to it than just the combos. 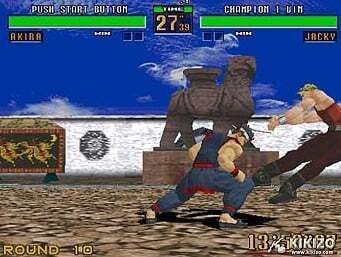 It’s not that KI is as balanced as VR2, or that it’s as wildly different as Bushido Blade, but it’s such a damn good crowd pleaser (even more so than Primal Rage). 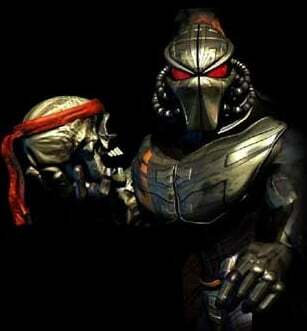 Considering all this, it's hard not to overlook its crippling problems; for example, a skilled Jago player will destroy you no matter how good you are with Fulgore. Back when this game came out, I seriously couldn’t wait for this supposed “Ultra 64” system to come out, just so I could play this game at home. And when it did finally come home to the much less ultra Super Nintendo, I really had felt cheated as a gamer. The follow-up didn’t really help, either. Killer Instinct 2 was an utter disaster in comparison and didn’t feature any of the gold (Get it? No? Well, who asked you?) features that made the first one so grand, so the original doesn’t get looked at in a very positive light nowadays. But just try playing it again in a pizza parlor somewhere if you can find it. It’s actually much better than you remember it, if that’s even possible. Talk about balance! Many have gone on to say that this is the grand daddy of them ALL when it comes to balance, and I agree. If you can master the character, then you can dominate with him/her, as each character has their own Achilles’ heel that leaves them completely vulnerable to a devastating combo if you really know how to use your own character. I mean, it really says a lot when the characters actually reflect the players who use them. Ken, for instance, is just Ryu in blond hair and a red gi, but you wouldn’t imagine (Or you would, if you played the game), how wildly different they’re used in the hands of those who pick them. In Championship Edition, Ken isn’t the rapid character he later becomes, but players don’t play the same with him as they play with Ryu. Players seem to take more risks with him, while Ryu players seem to be a bit more conservative. In other words, Ryu players would rather wait and bait then be brash and crash like Ken players. And that’s just from their difference in appearance and where they hail from around the world. 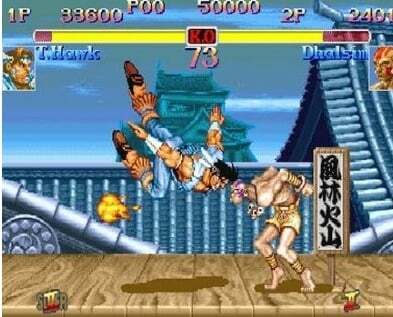 Plus, this is the game that actually let you be the final bosses from World Warrior, making you realize what annoyingly unlimited power you now had with Sagat doing high and low “Tiger!” fireballs. It really was a grand day to be a gamer. Yes, I realize that I put MvC2 above both SF2:CE and VF2. Let’s start with the roster. Being the last game in the Marvel/Capcom collaboration, Capcom really pulled out all the stops for this one. Containing pretty much EVERY SINGLE CHARACTER from the past three collaboration games, plus a few more, you didn’t feel like your character of choice was left out of the fray. 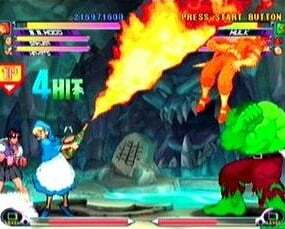 Sure, I would have liked to have seen some of the wild cameos made in the first Marvel vs. Capcom (Arthur from Ghost and Goblins takes the cake), but adding that third character to the team really makes up for it in a big way. Just like how the Smash Bros. games are a love letter to Nintendo fans, MvC2 is a wet kiss on the private area to all Capcom lovers with Jill Valentine, SonSon, and Servbot all making appearances. What I think is MOST important to mention though is that even though some of the characters may not be that good at all (again, I must mention Servbot), it didn’t really matter since you had two other characters to rely on. I’ll give you an example. I really like Bone claw Wolverine — I actually prefer him to Adamantium Wolverine - but I’m not that good with him. I am, however, REALLY good with Strider and Guile, so I can use those two characters as my anchors while I learn how to play Wolverine. It’s this ability that makes MvC2 fun beyond belief because it encourages you to try out everybody on the roster. Seriously, there is no game more fun that this one, and that’s why it’s all aces on my list. But what do you think? Upset that Street Fighter 3 didn’t make the chart? Or do you happen to be a Bloody Roar fan and are irate it didn’t make #10? Comments can be left below. And please, no War Gods or Mace: The Dark Age, people.